Modi on Sunday had targeted the Congress and the Nehru-Gandhi family over dynasty politics and praised Shehzad Poonawalla for his action. 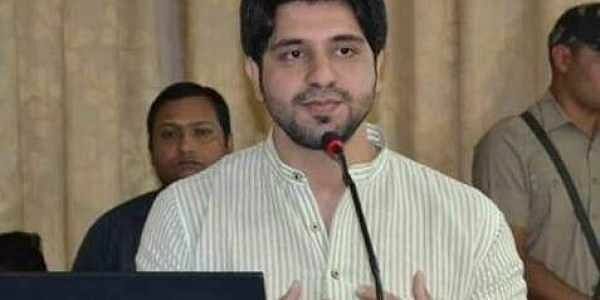 NEW DELHI: Thanking the PMO for his praise by Prime Minister Narendra Modi, Congress leader Shehzad Poonawalla said on Sunday that he had contacted party Vice President Rahul Gandhi's office during the day but was insulted. Poonawalla on Sunday had furthered his attack against party vice-president Rahul Gandhi and dubbed him ‘shehzada’, in line with the Bharatiya Janata Party's (BJP) repeated jibes referring to him by the same moniker. “I have been trying to raise the most important issue of dynastic politics and fair opportunity to the non-dynasts within the party for the past six to eight years. I also wrote to Rahul ji on this. Instead of answering my claims about delegates being fixed and one family one ticket rule - they are making baseless allegations against me that I am a BJP agent. I have to become a whistle-blower. I am not spineless like the other Congress leaders,” he said. "Main Shehzad hoon, shehzada nahin. [I am Shehzad Poonawalla, not a prince like Rahul Gandhi]. They don't have a place for me," he added. He showed the letter to the media as the proof.